You might also enjoy the Reverb Crash! Stir on ice. Strain over one big cube. Garnish with lemon and orange peel. This is a really good cocktail. Complex but easy drinking and the Kummel still comes through. I wonder how it would hold up to a barrel proof bourbon? Quite a contrast from PX sherry to Byrrh. Much more bitter edge from the Byrrh. I would think it would change the character of the drink a bit. At least you know that Kummel will last you a while at a teaspoon a drink! May be why I liked it so much. I prefer things on the dry/bitter side. My wife isn't here so my substitutes are probably not the best. All I see in the bar is Manzanilla sherry and I didn't want to open a new bottle. As I recall, the last bottle of PX I had sat in the refrigerator for years. LOL. Understandable. On the plus side you can find PX sherry in 375 mls pretty easily now and they (as well as Oloroso and Amontillado. But not so much Manzanilla) are getting more common in cocktails. Stir, strain, up or old fashioned with no rock, optional grapefruit or lemon twist, expressed and discarded. Wanted something a bit lighter tonight, so I mixed up and old fashioned with 1792 small batch. Just what the doctor ordered. 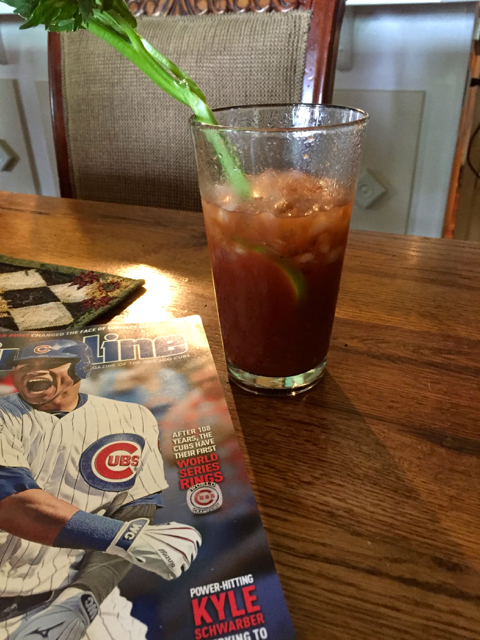 Bloody Mary's most of the day today. I generally poopoo cocktail mixes but a guilty pleasure if mine is Bittermilk's smoked honey sour mix. It's great in and of itself and it also helps move some of my poorer buying decisions. It hit the spot while grilling dogs and burgers today. Had a "Brazilian Gentleman" last night. Was very good! Rye (they used Knob Creek), passion fruit, chuncho bitters, tawny port, and honey. muddle mint lemons and simple. Add sour mash. Stir. Cracked ice to the top. Hard to beat in a south carolina summer. Had a couple Old Fashions with Rittenhouse. Been really enjoying these at my watering hole. At a friends house for a cookout today Buffalo Trace, Ale 8 & a splash of lemonade. Don't know what it's called but it was refreshing. Sounds like a variation of a basic Kentucky Mule with lemonade playing the role of lime juice in this variation. Might be a bit sweet for my taste without the fresh squeezed lime juice to balance the ginger ale sweetness but all that matters is if you like it! Ale 8, not ginger ale. Ale 8 tastes like . . . well you just have to taste it to know what it tastes like. Oh, I have had lots of Ale 8 over the years on trips to Kentucky. As I recall Beam typically has it in their little sandwich joint at the distillery. While it is not a typical ginger ale it still has a ginger base and is more like a citrus-y ginger beer with more ginger character than a run of the mill ginger ale, at least to me. And a nice strong ginger beer is my preferred ingredient for a mule cocktail of most any kind. I tend to prefer a Blenheim pink cap if I am going all out on a mule cocktail and the gold cap if I am trying to keep from blowing out the sinuses! If I can't get Blenheim, which can sometimes be hard to find, I resort to Fever Tree Ginger Beer. 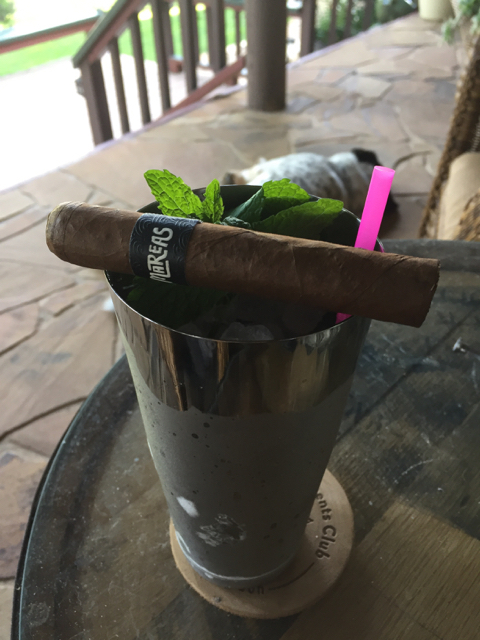 Personally my preferred mule cocktail is a Guadalajara Burro! It's pretty hot while firing up the grill for strips tonight. So white rum, fresh lime juice, and simple syrup in the plastic cup is going quite well. Ha! I thought same while firing up grill for bone in rib eyes. 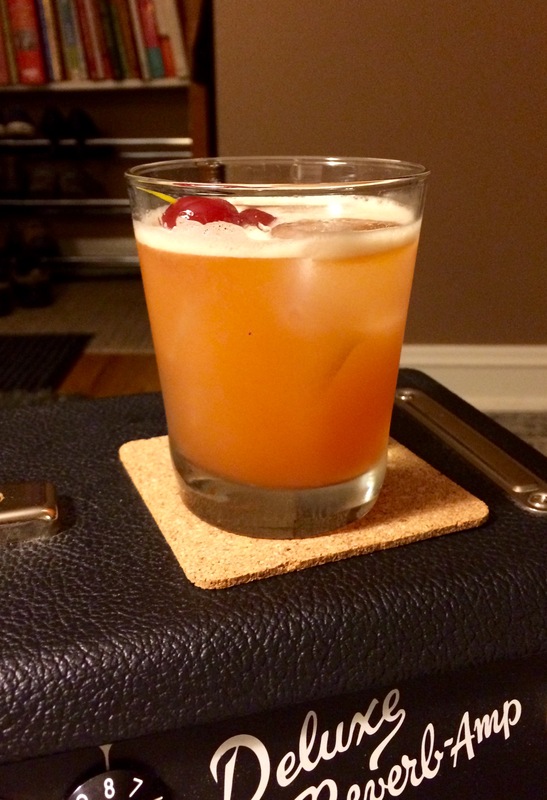 Went with similar, but whiskey sour, instead. Yeah, the two Cuban/Hemingway daiquiris and two glasses of Orin Swift Abstract with the strips and I'm feeling pretty damn good tonight. Not like last night but not too damn bad.